Anyone else have a love for single eye shadows? I know I do and I always get suckered in. 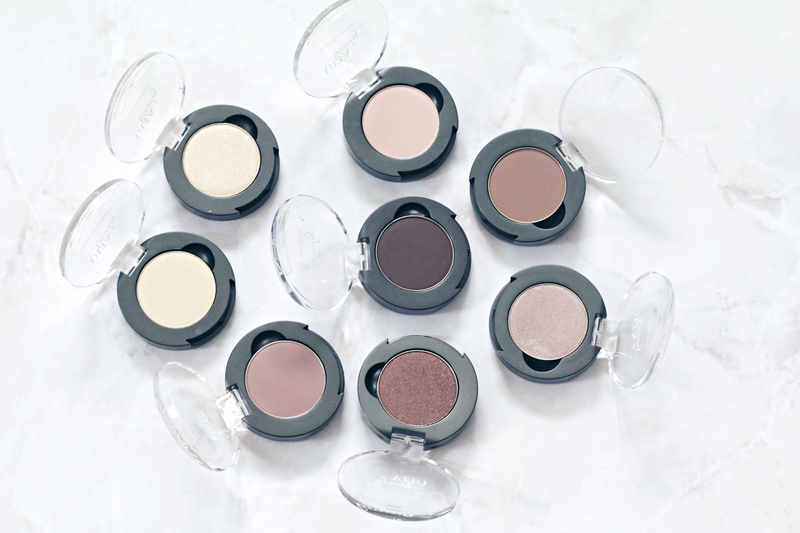 Ulta recently released tons of new single eyeshadows that pop out of its packaging and can be placed into either a Z Palette or an Ulta Palette. They currently have 36 different shades to choose from. 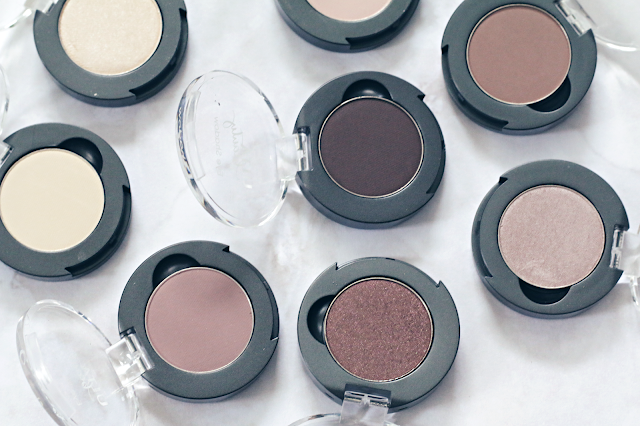 When I ordered these, they were having an amazing deal where when you buy four single shadows you got four for free. And on top of it, I got the free 8 pan palette to go with it! As you can tell when it came to picking my shades, I stuck with my neutrals. I picked out a few matte shades as well as a few shimmery shades. The 8 shades I went with are: Coconut which is a light yellow matte beige, Whatevs which is a light creamy shimmery beige, Petite which is a light pink matte beige, Desire which is a medium matte brown, Pin-Up Girl which is a light pinkish shimmery taupe, Suede which is a deep matte taupe, Italian Espresso which is a deep brown shade that comes with gold and pink micro glitter and Coffee Bean which is a deep matte brown. 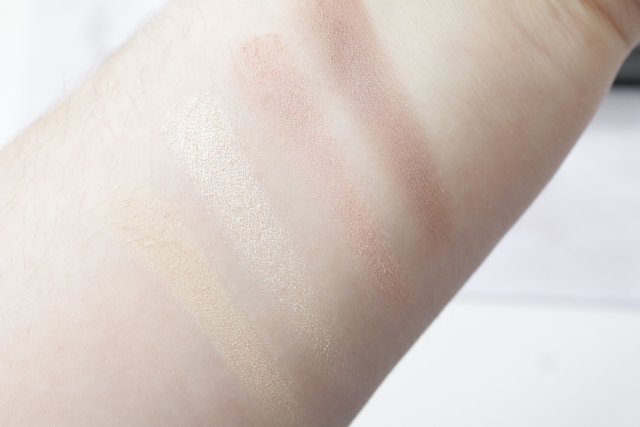 Which the matte shades I thought the texture was buttery but they did apply a little chalky. 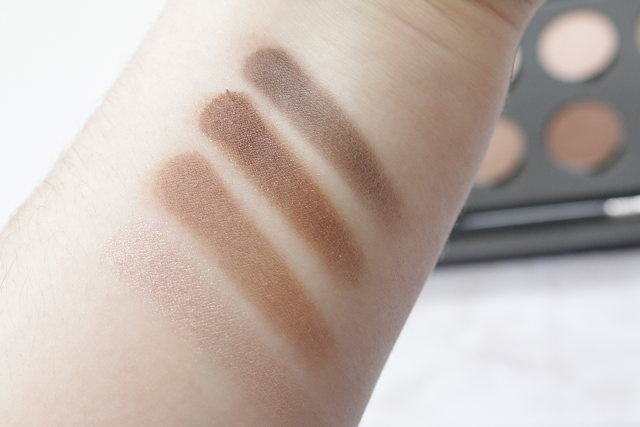 They blended out nicely but with the darker shades you really have to pack on the shades to get a good color pay off. The shimmery shades were not as pigmented either. I had to add a lot of product to get good color pay off. 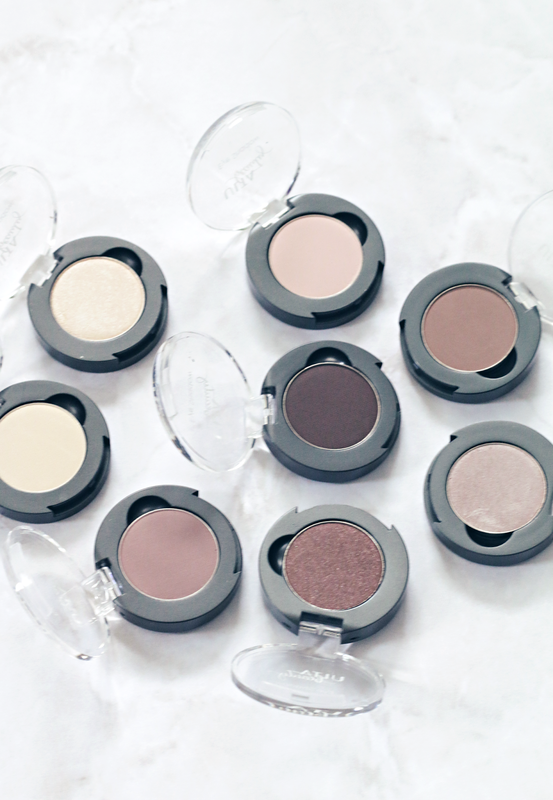 The single shadows retail for $8.50 each and I think they are good beginner eye shadows, but you can find a lot better shadows for a lot less. 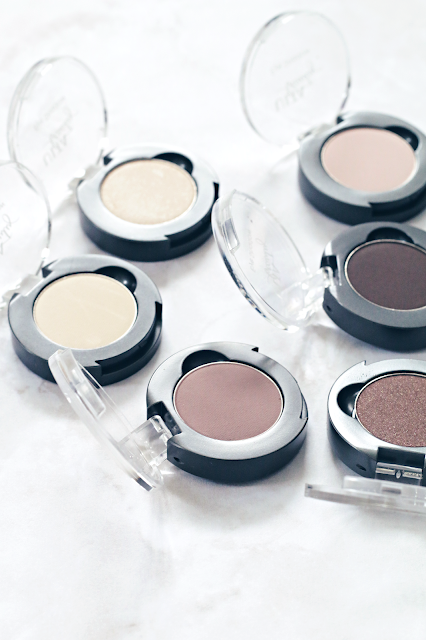 MAC shadows are only $6.00 and I find them to be a lot better quailty then the Ulta shades. And the 8 pan palette retails for $12.50. I am not sure if the shades I picked were just duds, but I still may pick up a few more shades to try. I thought the shades we were pretty but wish they had better pigmentation. Let me know in the comments below if you have tried these yet and if so, what did you think of the quailty? 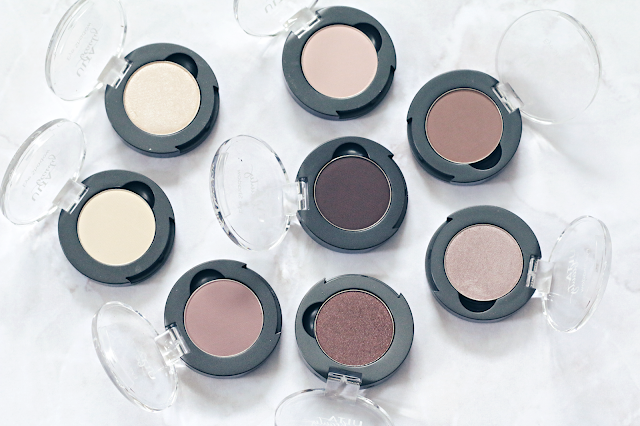 You can purchase these shadows at www.ulta.com. If you are looking to purchase them, I would wait for them to have a sale. 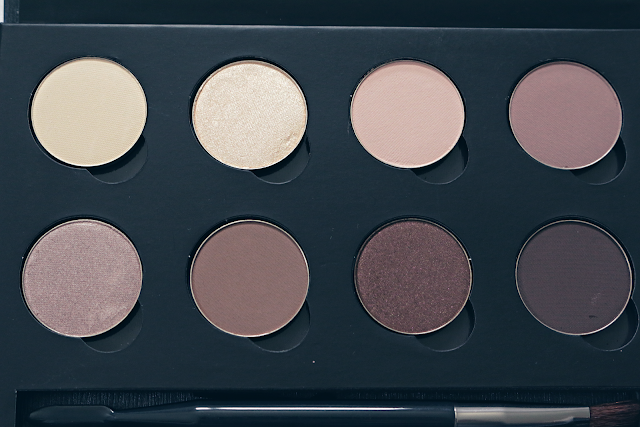 When I purchased mine I got four shades for free, plus the palette for free so I had saved a lot of money. I do not think they are worth $8.50 each.